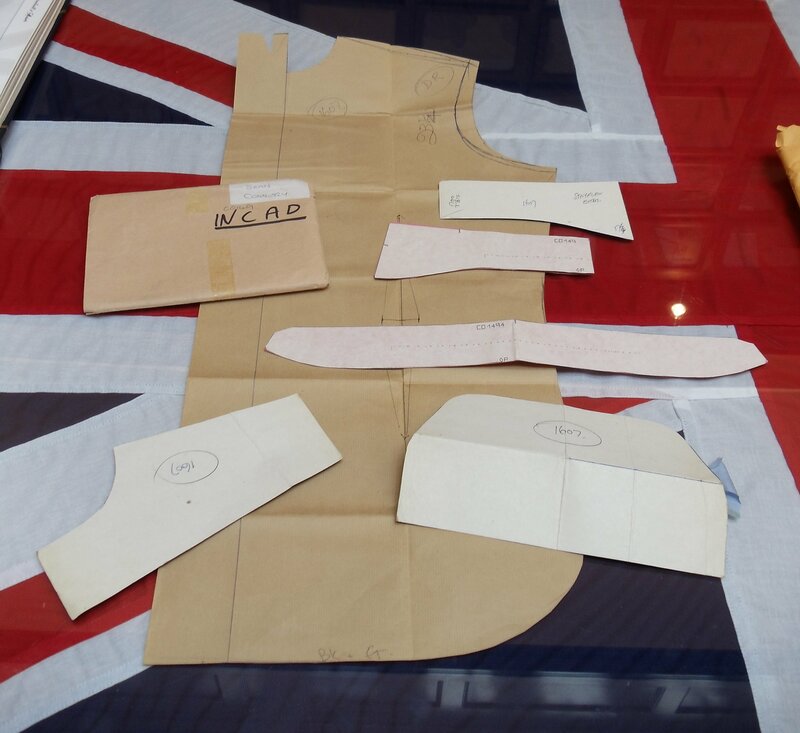 Whilst visiting Turnbull & Asser in July, employee Steven Quin brought some James Bond shirt patterns out of the archive to show me. Though they didn’t have Daniel Craig’s pattern on hand, they had two other Bond actors’ patterns. Though Turnbull & Asser no longer has Sean Connery’s pattern from the 1960s, they were able to show me his pattern from 1982, which would have been made for Never Say Never Again. Above you can see the button-down cocktail cuff pattern on the bottom right. Above the cuff are a collar band and two different collar patterns, the lower one being very similar to the Classic Turnbull & Asser collar. The upper collar was the one used mostly in the film, though the lower one may have been used as well. 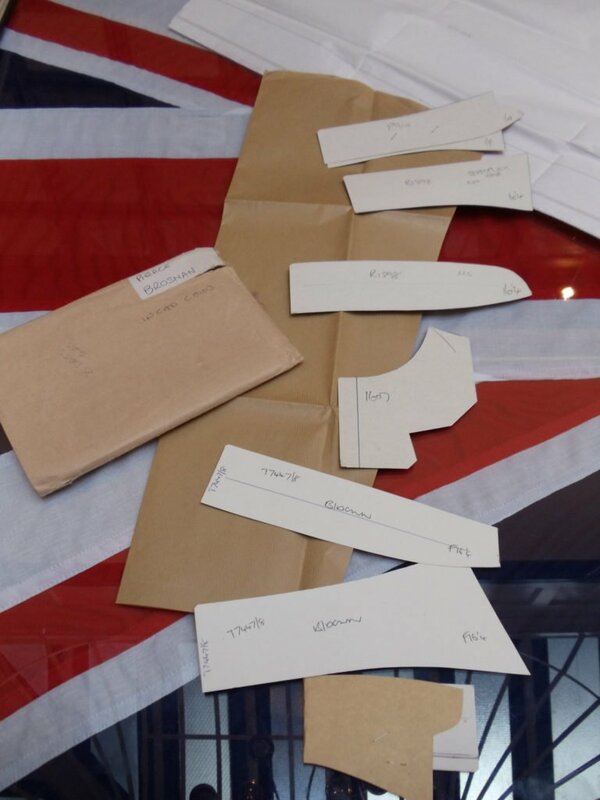 And pictured below, in a corner at the bespoke shop on Bury Street, is a James Bond wall featuring three of the Bond ties that can still be purchased. 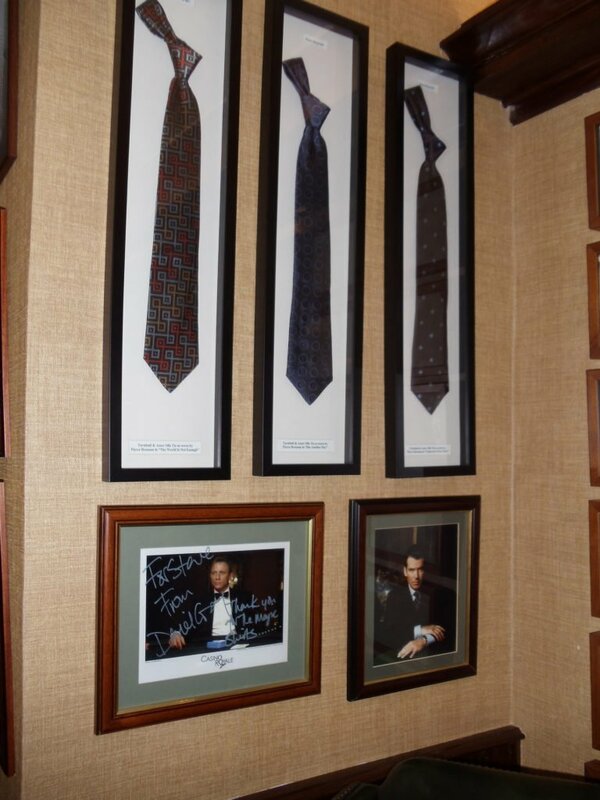 Beneath the ties are two signed photos. Also sad that they don’t have Connery’s pattern anymore, although they did show his original 1960’s measurement card in one of the Dr. No documentaries. Brosnan’s collars were designed for him. I love these kind of features, Matt. Keep doing them! It’s just as interesting getting an inside look as it is examining costumes from the movie. Are you sure those aren’t my T & A patterns? Mine look just like these. 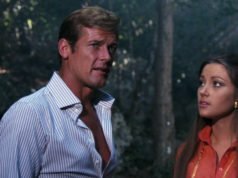 So, although Brosnan bespoke a shirt from them for his own personal use, the producers never had the wit or imagination to think, why not give this style a go again, particularly when both Brosnan’s debut and swan song movies had knowing nods to the past. Then again it somehow doesn’t really surprise me. Sorry, to qualify the last comment, “a shirt with a cocktail cuff” I had meant to say. Nor does this surprise me. Skyfall was another huge missed opportunity to bring back the cocktail cuff of some other sartorial reference to earlier classic Bond films. Lord knows that the film was full of subtle allusions to the character’s heritage, his clothes weren’t a part of that. Shame, really. As excited as I was to see the DB5 I would’ve liked it even more had he been wearing a Sinclair-style Goldfinger suit or something like that, but again, not surprised that this didn’t happen! Matt, you mention that Turnbull & Asser were able to show you Sean Connery’s pattern from 1982, which would have been made for Never Say Never Again. Didn’t Frank Foster do those shirts, or did T&A do them in the FF style? Both made shirts for the film. The collar pattern on top resembles Foster’s collar. 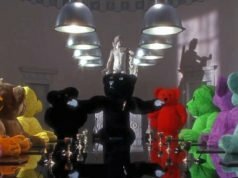 Now how was it, did you settle the matter regarding the Brioni shirts in the hotel suite in Die another day? Did he actually wore any Brioni shirts or was it T&A only? How many did T&A do for the film? Lindy Hemming said Brioni did all the shirts. She wasn’t more specific, but Brosnan’s dress shirt (for black tie) looks like it’s probably Turnbull Asser. So it’s the same situation as Casino Royale. Toby Stephens and Colin Salmon appear to be wearing Turnbull & Asser shirts in Die Another Day. I’m thrilled that this information was shared, but was there also not a concern on T&A’s part about sharing customer information? Can’t imagine anyone would want their pattern or measurements shared without consent. 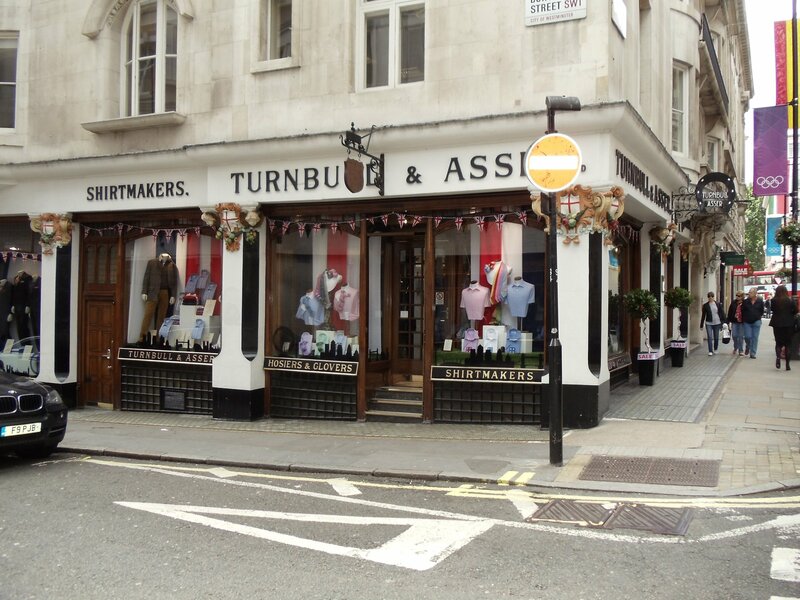 The patterns are Turnbull & Asser’s, not Brosnan’s and Connery’s.